Want to create fresh content for your blog for free? Creating fresh content consistently for your blog can be time consuming, but your users can help. User generated content also helps you create a positive perception among your audience and your brand will be perceived as influential in your niche. If you’re looking for inspiration to conduct a user generated content campaign, this article will help you. 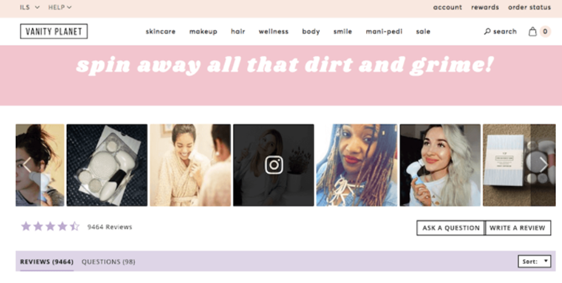 But before we dive in, let’s take a look at how to accept and review user generated content submission on your WordPress site. Accepting guest post submissions is the easiest way to consistently get fresh content for your blog. This way you can save your time and focus on other marketing tasks to grow your business. The easiest way to accept guest post submissions on your site is by using WPForms’ Post Submissions addon. With the addon, you can allow users to submit guest articles directly to your WordPress dashboard using a frontend submission form without having to provide login credentials. 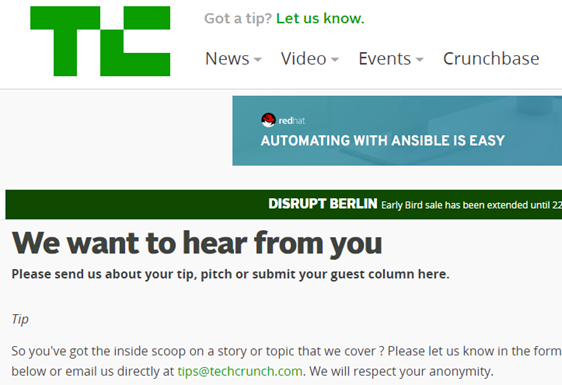 World renown blogs like TechCrunch and Mashable accept guest post submissions on their site. For more details, read how to allow users to submit blog posts in WordPress and how to attract more guest post submissions on your site. Accepting paid post submission is a common tactic to make money online. It is a win-win tactic for both you and your sponsors. Your sponsors get exposure through your blog, while you can make some extra income by publishing a sponsored post once in a while. When publishing a sponsored post, explicitly tell your readers that it is a sponsored one, or else it might come off as a little out of sync to your trusting audience. 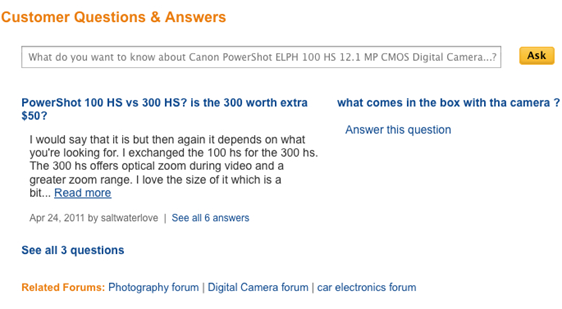 Bloggers like JohnChow publishes sponsored reviews on his site. With the Post Submissions addon, you can even require users to pay to submit a blog post. Publishing customer testimonials is a great strategy to add social proof on your website. By adding a social proof, you can foster trust and encourage your prospects to become your paying customer. OptinMonster is a great example of publishing testimonials on their site to foster trust. They even have a dedicated testimonials page on their site. To foster trust, almost every ecommerce website out there publishes customer reviews on their site. 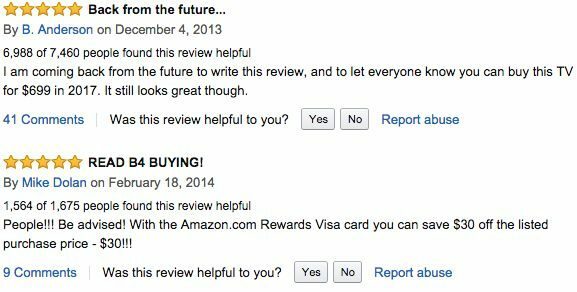 If you’re an ecommerce merchant, you might want to display customer reviews beside every product on your site to boost credibility of your products. Without reviews, your customers may think that you’re not trustworthy and will hesitate to make a purchase. With WPForms, it’s easy to create a WordPress form to allow users to leave reviews on your site. Fiverr.com is the world’s largest marketplace for small services. 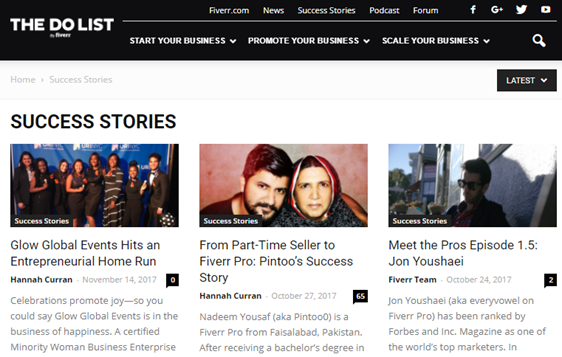 Fiverr regularly conducts interview with their successful users and publish it on their blog. Showcasing your loyal users not only helps you to create fresh content for your blog, but it will also set a successful example for your existing and potential customers to follow. How can you turn your users into brand advocates? Identify your loyal customers and ask them how your product makes their lives easier. Conduct an email interview with them and publish it on your blog. You can even invite them to write a post on your blog explaining their experience with your product. Shoppers that ask questions are 30% more likely to buy. You can encourage your past buyers to respond to the questions asked by your potential customers. Not only will it help you curate user generated content on your site, but it will persuade your past customers to re-engage with your brand. Do you want to create brand awareness in social networks with user generated content? The easy way to do this is by running a social media contest while encouraging your users to use a custom hashtag. 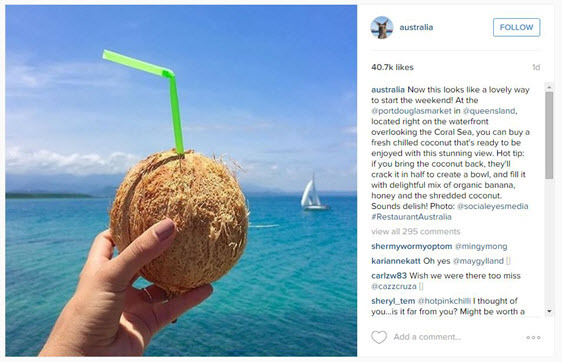 For instance, Tourism Australia encourages users to post photos on social media during their Australian visit with hashtags #SeeAustralia and #RestaurantAustralia. They also pick some of them every week and republish it on their Instagram account. Embedding tweets on your website is another great strategy to create social proof. Since testimonials can be easily faked, embedding tweets on your website give more credibility to your testimonials. Embedding tweets are easy with WordPress. All you need to do is to copy the URL of the tweet and paste it in a separate line of your post. Did you know that shoppers are 137% more likely to buy a product if they see customer photos of it? With a social media contest, you can persuade users to post selfies with your product on social media. This will help you to spread the word out and even encourage their friends to try it out. If you want to take a step further, you can add the same customer photos to your product pages as well. 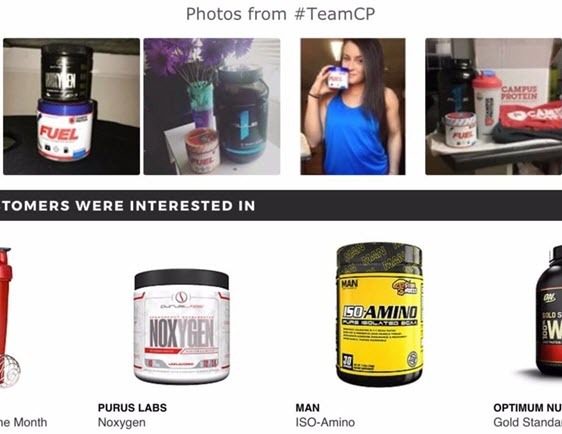 You can combine customer photos in a carousel and show your customers how past buyers enjoyed the product. If you grew a raving fan base on Instagram, you might want to add Instagram galleries to your website. Provide shoppers an authentic glimpse of your product. Encourage more users to snap their selfies on Instagram to get them featured on your site. Help your customers picture themselves enjoying your product. Showcasing Instagram galleries on your site is easy with the Envira Gallery plugin. Envira Gallery is the best gallery plugin for your WordPress site. With its Instagram addon, you can import your images into WordPress with just a few clicks. We hope this article gives you some cool ideas to run a user generated content campaign on your site. Through WP- forms can create a dashboard for each user, through which they can login and upload the files and images? And also, please tell me how that users data would be handled. Our forms aren’t currently able to provide a full membership experience like you’re describing. While our User Registration addon can add users to your site, this works within the existing WordPress users system (so basic profile on the site’s backend). I want to build a vocabulary database on my site and have viewers contribute words. I can create a form but will the add on enble me to display the current listings on a page on my site as well for all to see? We don’t currently have an option to display entry data on the front-end of your site, though this is on our feature request list to consider – and I’ve added your vote for that as well. We do have some custom code that should help you to accomplish this, though. It requires a bit of explanation (tough in a comment), but if you get in touch with us in support we can share more details so you can determine if that option could do what you need. Do WP forms provide these functionalities? Yes, you can absolutely set this up with WPForms by using the Post Submissions addon. This addon includes options for whether to publish the post immediately/require approval, and will generate a standard WordPress post based on form entry content. This means that the post will automatically include many of the details you mentioned (a date/time stamp, author, etc). To also provide the ability to edit and delete posts to your users, you’d additionally need to allow users to register to your WordPress site — which can be accomplished with our User Registration addon. Last, here’s a tutorial from WPBeginner on how to restrict author access to only their own posts.